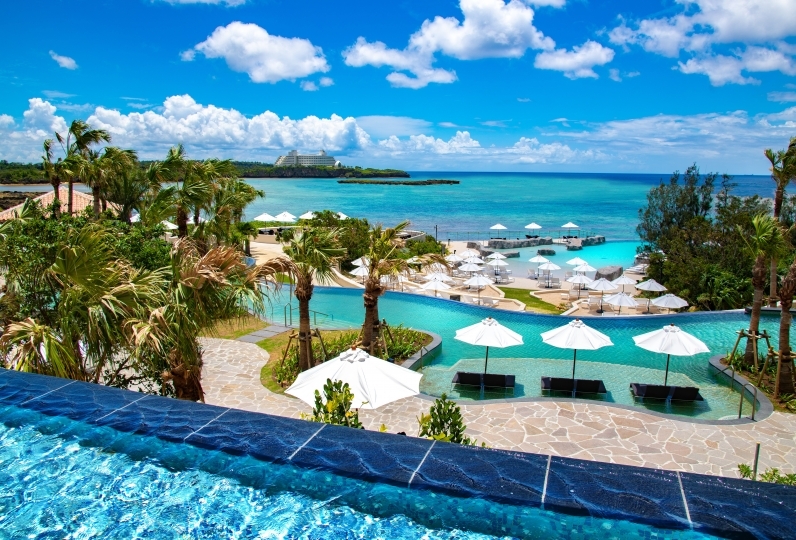 On a hill that overlooks Okinawa’s western coast is the Atta Terrace Club Towers. It is a haven that is exclusive to its own guests. It is a hidden-away space surrounded by emerald subtropical vegetation and beautiful indigenous flowers. 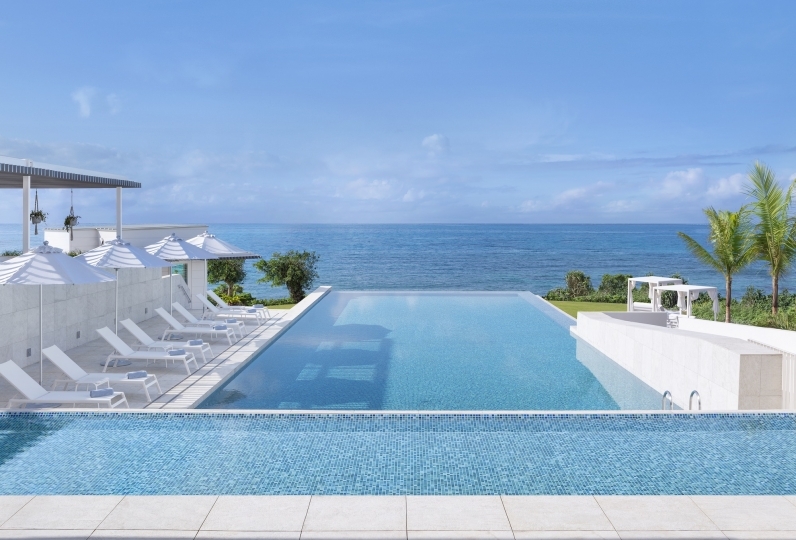 A spellbinding pool where the sky is reflected upon its mirror-like surface that extends to the East China Sea. 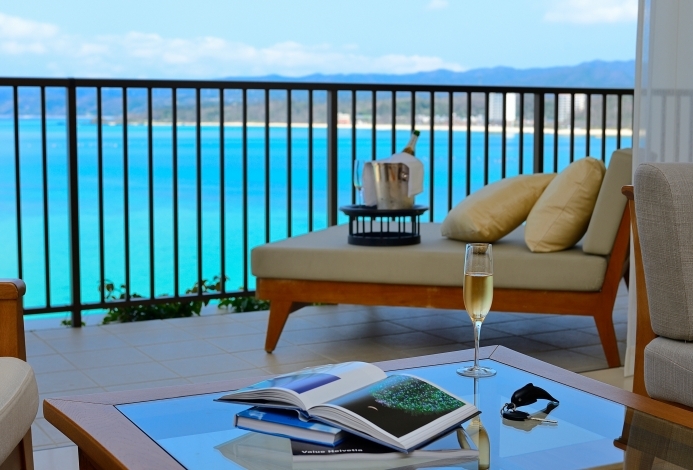 Airy guest rooms where you can relax amidst the sunlight and the soft breeze of Okinawa. Everything needed for indulging sophisticated tastes is there. 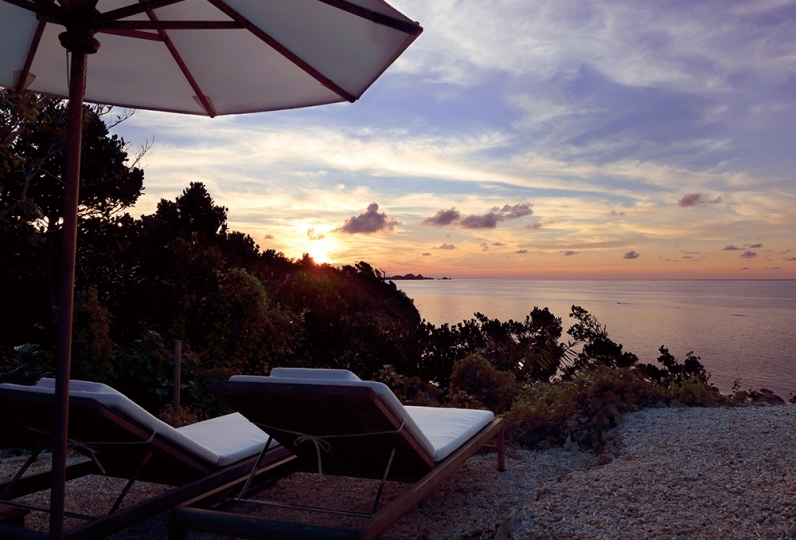 At dusk, as the ocean and the sky turn crimson and purple, get ready for a dinner at the hotel's restaurant. Gorgeous sunsets and a starlit terrace: Scenes that seem like they had been taken out from a movie are played out at the hotel, a world away from the world. The butler service can help if you would like to surprise a special someone. It can be relied upon to provide the most stylish presentations. Celebrate at the Atta for an anniversary filled with happiness and joy. Astounding space and service that is exclusive to guests will make you and your loved one's stay at the Atta extraordinary. The impression when I stayed last time was very good, so I used it on this wedding anniversary. Both the rooms and the facilities were very nice like last time. However, some of the staff who were served by the staff were not very satisfied and they were treated to even unpleasant feelings. Of course, there were a lot of nice staff, but both the husband and wife finished the trip with a very disappointing feeling. It was a short time, but I was indebted to him. It was a few days stay, but thanks to it, it was a meaningful time. This time, I was able to do the Okinawa proposal at The Atta terrace, it was really good. This hotel is good! And suggested, S relaxing. Mr. K who responded positively by telephone exchange in advance. Mr. U received a wonderful response on the day. Also, I am sorry, I am sorry, but I was sorry but the woman (who came by training from the Busena Terrace?) Who took a pick-up to the beach, flower decoration etc of the proposal, etc. Then all the staff . It is for the first time that all of them are the best, such a wonderful and hospitable service was received. I'm really thankful to you. Also, I will definitely go and friends around me, if you are Okinawa, you are Atta teras! I'd like to recommend with confidence. Thank you for the unusual space you can not usually taste. I feel deeply impressed with the air. thank you for helping me. Use the saunas and spacious communal baths for men and women located in the Club House of the adjacent Atta Terrace Golf Resort and is complimentary for hotel guests. Available also for male customers. You can see seasonal flowers, vegetables, herbs etc. We offer original sauces, salad, etc and use harvested vegetables and herbs at the restaurants. ・The Atta Terrace Golf Resort: We will show you the preferential price at the golf course adjacent to our hotel. Advanced reservation is required for each restaurant,【Club · Spa】, 【Activity】, 【The Atta Terrace Golf Resort】. Please fill in the free comment section at the time of reservation. ※Depending on the reservation situation, we may not be able to accommodate your preference. Thank you for your understanding. ＊Hotel facilities usage are for those above the age of 16. ＊Facilities are available only for guests who are staying with us. ＊Please refrain from exposing any form of body arts (tattoo, paint, seals, etc). ※Affiliated hotel 'The Busena Terrace' and 'Terrace Club' will be unavailable from 2/10/2018-2/12 due to private reservations. By car: Approximately 75 minutes via Route 58 or one hour using the Okinawa Expressway. The hotel is 15 minutes from the Yaka Interchange on northbound Route 58. 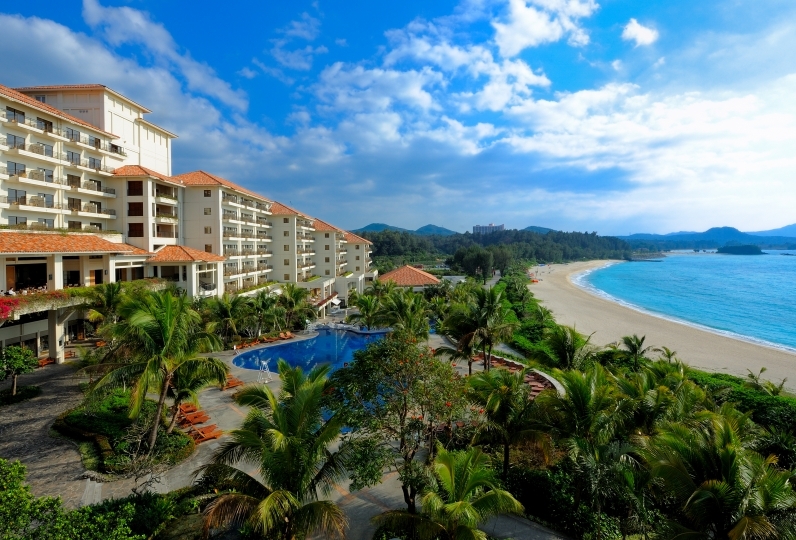 By Airport Limousine: Approximately 90 minutes to the Hotel Miyuki Beach bus stop. Please notify us when you board the bus and a member of our reception staff will meet you at the bus stop. 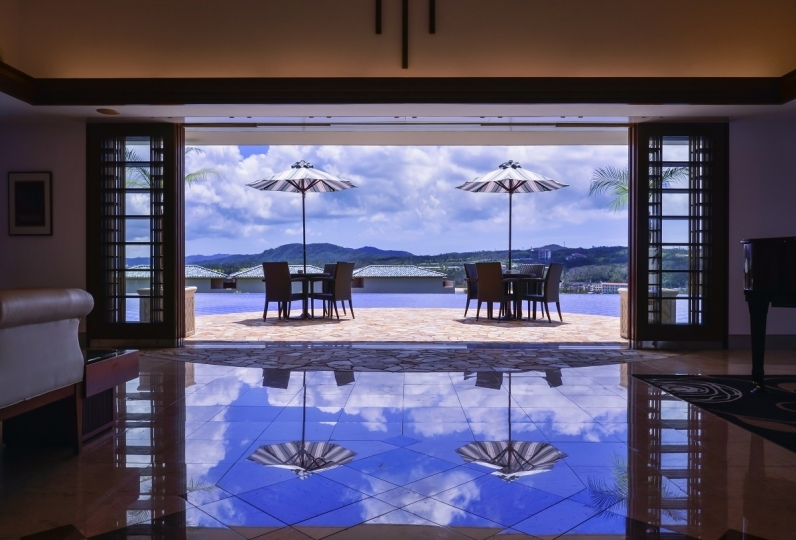 From The Naha Terrace, which is just 20 minutes from Naha Airport by car, registered guests may use our complimentary shuttle service linking the Terrace hotels. From Naha there are two departures a day, at 9:30 and 14:30. Booking is required in advance for this service.